In food circles, there have been a lot of questions about the idea of authenticity and appropriation. We explore the intersection of food, race and culture. 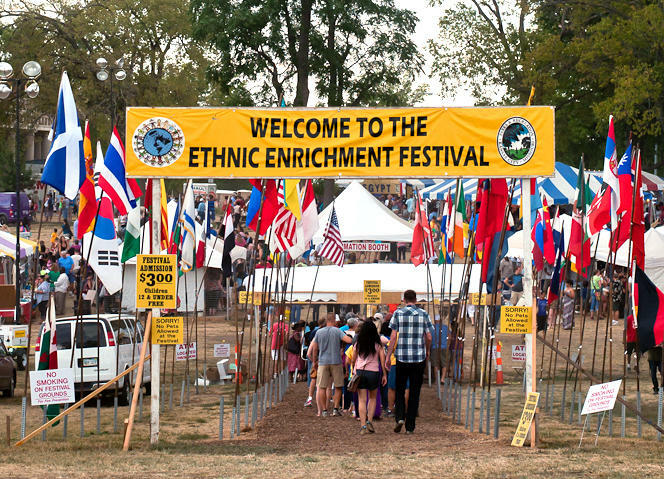 This weekend, the Ethnic Enrichment Festival sets up shop in Swope Park. How do we think about ethnicity in America today? We invite a professor who focuses on ethnic and cultural studies, the co-founder of the Latino Writer's Collective and a local resident who runs the Indonesia booth to share their thoughts. What is Midwestern cuisine? Church fare, like Jello salad, or comfort food like mac n' cheese? A local chef and a Food Network chef who brings Midwestern fare to the masses join us to explore what it is and how that's changed. Plus, upon Bill Gilbert's recently passing, we look back at his legacy and the Gilbert/Robinson restaurant empire, which gave us Houlihan's, The Bristol, Plaza III, Fred P. Ott's, Annie's Santa Fe and more.